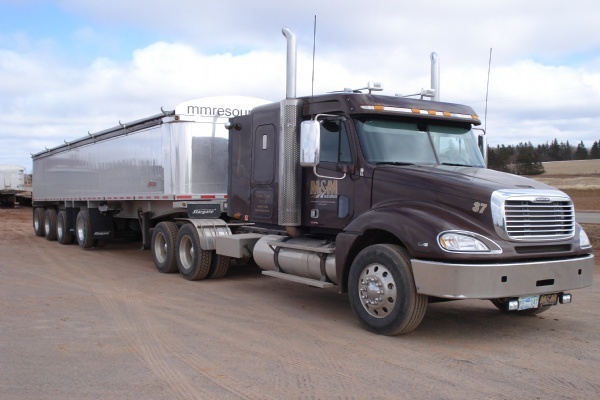 M & M Resources specializes in the transportation of bulk commodities. 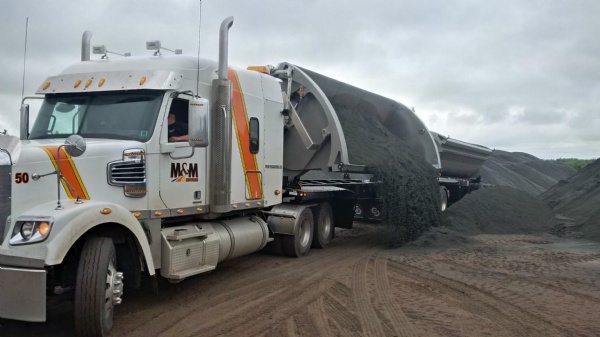 Some of the products you will see our recognizable fleet hauling up and down our Maritime roads include construction aggregates, lime, gypsum, compost, and agricultural crops. We can save you money by utilizing our belly dump trailers for installing a gravel driveway, a private road or a parking lot. 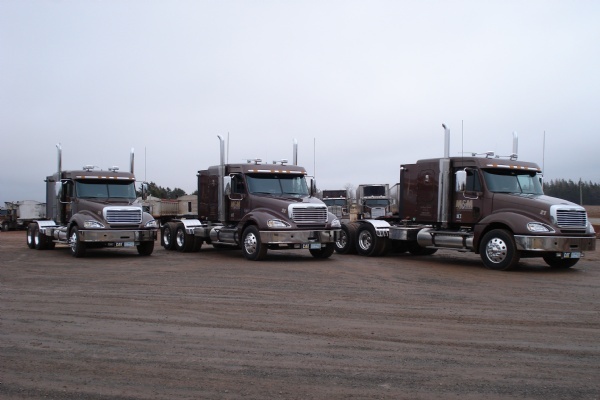 If you need equipment moved, our fleet of 30, 40 and 50 ton floats serve all of the Maritime provinces. Contact us today for all of your trucking needs. One of our new side dump b-trains - the safest and most efficient way to move aggregate. Our fleet is modern, well maintained, and ready to go to work! 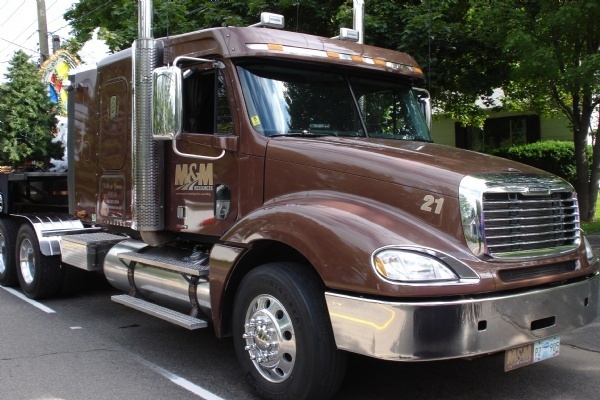 In 2012 we integrated quad axle trailers into our fleet, ensuring the most efficient, cost effective, and environmentally friendly method of moving material.